Instructor – Patrick Gallagher. 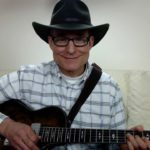 Please visit Patrick Gallagher Blues Guitar Lessons for more! Please visit Patrick Gallagher’s website for more blues lessons!